It takes time for me to adapt to technology. It took years for me to get a cellphone and only within the last few years did I get a smartphone. I just started texting a little over a year ago. I mocked friends who were early joiners of Twitter and for a long time thought people who had more than 100 friends on Facebook were just lying and sad. I still don't embrace FourSquare (I really don't want you to know where I am every second of the day plus being mayor appeals to me waaaay too much.) and I've yet to cave and join Google Groups. 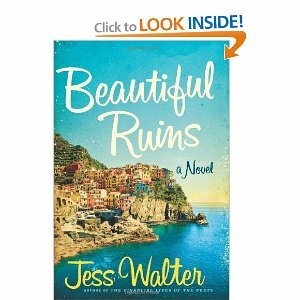 My first book selection was/is the novel Beautiful Ruins by Jess Walter. Amazing writing. Stunning descriptions. Laugh out loud humor. And this is all in the first three chapters... which have taken me almost a month to get through. I can't do it. I listen raptly for 10 minutes, then my mind starts to wander. I pull it back and force myself to pay attention to the narrator. But by the 20-minute mark, my mind is elsewhere and suddenly I realize the narrator is reading dialogue between characters I don't even recognize because I blanked out. I suspect the problem may be I'm listening to a novel. I listened to a non-fiction self-help sort of book a couple of months ago and loved it. Maybe I need the self-involvement element for car reading to work for me. I'm determined to get through the book but at the rate I'm going, I'll be lucky to wrap it up by Christmas. Still, as someone whose cat now has over 5,000 followers on Twitter and who has close to 900 (dear, close) friends herself on Facebook, maybe I'll come around. Maybe audible.com will save me from a lifetime of knowing all the words to every current bad pop song out there. Facebook friends are aware of some recent race waffling on my part. I've been signed up to run the Richmond marathon, Saturday November 10th, since the early part of the year. All training this summer has been centered around prepping for the race. Although recent training has been sporadic with Italy and the Hinson Lake 24-hour run, I think I'm still on course to run a decent marathon. I may not PR, but I still have a good shot at coming in with a Boston Qualifying time. The waffling comes from discovering that many friends have signed up to run the Crooked Road 24-hour race. This is the 24-hour run I did last year, my first ultra. The run is the weekend AFTER the Richmond Marathon. I surprised myself with how much I wanted to run this race. I just love the whole feel/friendship of a 24-hour run. It's a completely different experience from a marathon and, in all honesty, I'm a bit burnt out running marathons. I briefly considered running both but reconsidered after reading the thinly veiled "What new breed of moron are you?" comments posted by loving and--one hopes--concerned friends. So it comes down to having to chose one race over another. Outside the VaticanFlickr is my friend. That's where I have uploaded the approximately 1 billion photos we took while in Italy. Blair complained I was putting too many pics up on Facebook, so I have deleted over half the pics we took. What's here is not labeled, for the most part. Trips to Europe always end up with us taking 30 close up pics of some object or statue a tour guide emphasizes as being important, then us having no idea what we're looking at when we get home. Anyway, I find the pictures I return to are the ones of friends, or good meals, or simple street views that remind me of my time in a certain place. I've more or less categorized the pictures by city. 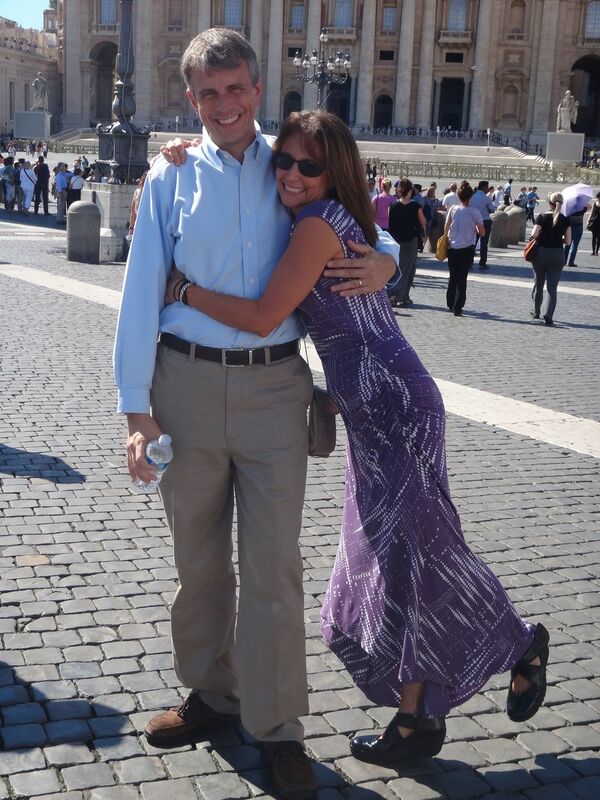 I skipped Pompeii and Vatican City. Pompeii because ruins tend to look like little more than big gray rocks in photos, and the Vatican because really, how many pictures of religious icons and tapestries can you look at? Below is my absolute favorite photo of the entire trip. 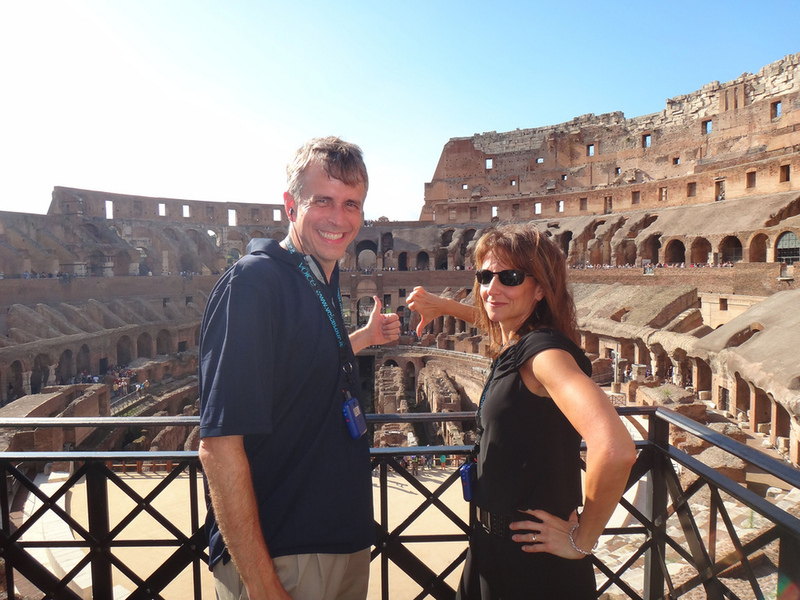 Blair and I at the Colosseum, deciding whether or not someone lives or dies. Our choices are rather indicative of our personalities, don't you think? 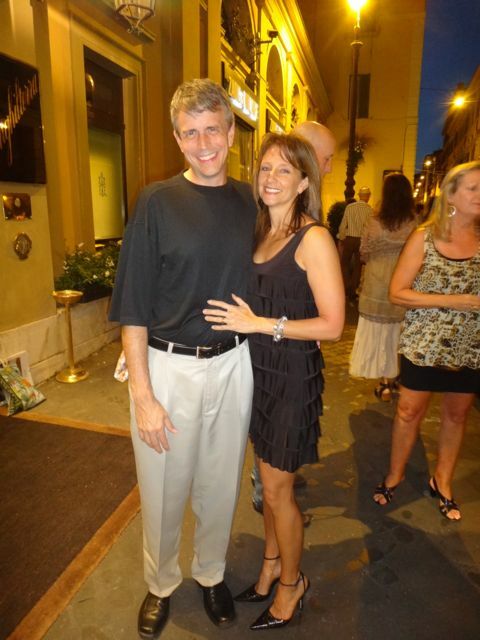 I also like the photo of us on our last night in Rome, heading out for the group dinner.